This 96Vdc 15000 watt off grid pure sine wave inverter charger is tailored with voltages settings for Tesla Model 3 battery module. It converts 96v to 120/240V 60Hz split phase. Ideal to work with grid tie inverters in ac coupled solar energy storage systems. It works with most traditional batteries on market as well. This new 15000 watt 96Vdc to 120/240VAC coupled inverter charger is developed in joint R&D efforts between Sigineer and EV pro/guru Jack Rickard of EVTV . It is built with special spec to work with Tesla Model 3 and Model $ lithium ion battery modules. If you are looking for large enough inverter charger for your whole house, this is the right power inverter to opt for. 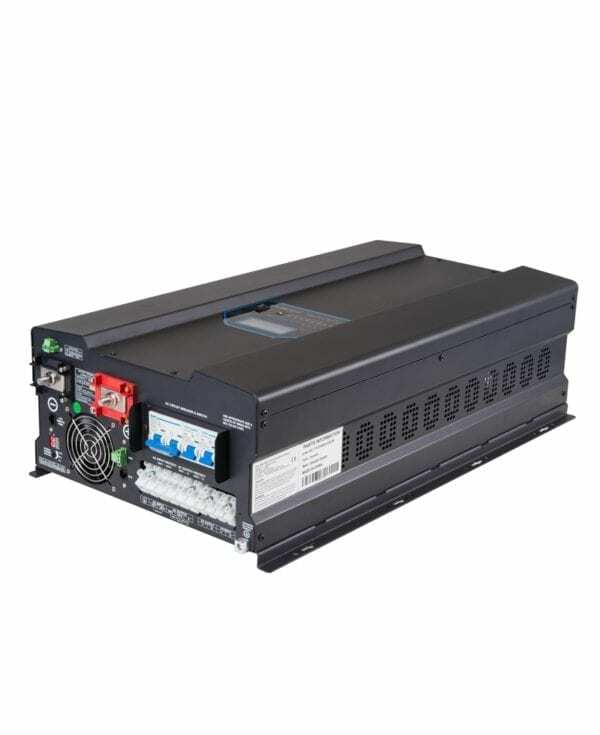 Our 15000 watt power inverter features Dry Contacts Providing Frequency Switch Between 60Hz / 62.5Hz as the secondary charge control of on grid inverter . It can control excess energy from the GT batteryless inverter when the battery bank reaches a voltage within the manufacturer’s limit. To accomplish this, you can use a voltage-controlled relay to close the dry contact to switch the output freq from 60hz to 62.5Hz, shutting off the grid tie inverter system. 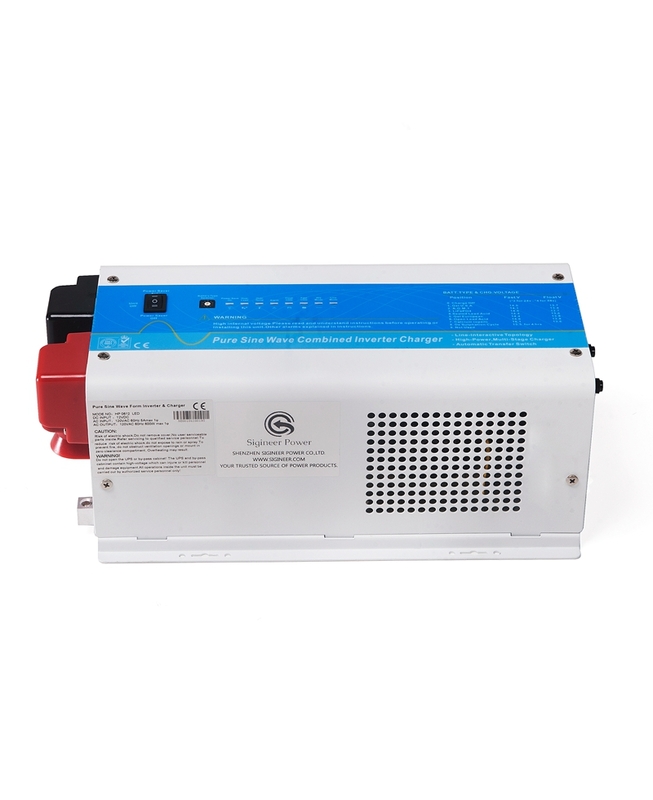 Our 15000 watt pure sine wave ac coupled inverter is also a DC to AC battery charger & transfer switch.